It’s currently using an external 9V battery for power. 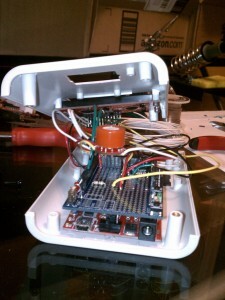 Though I’d like to devise an internal battery solution, it’s difficult. 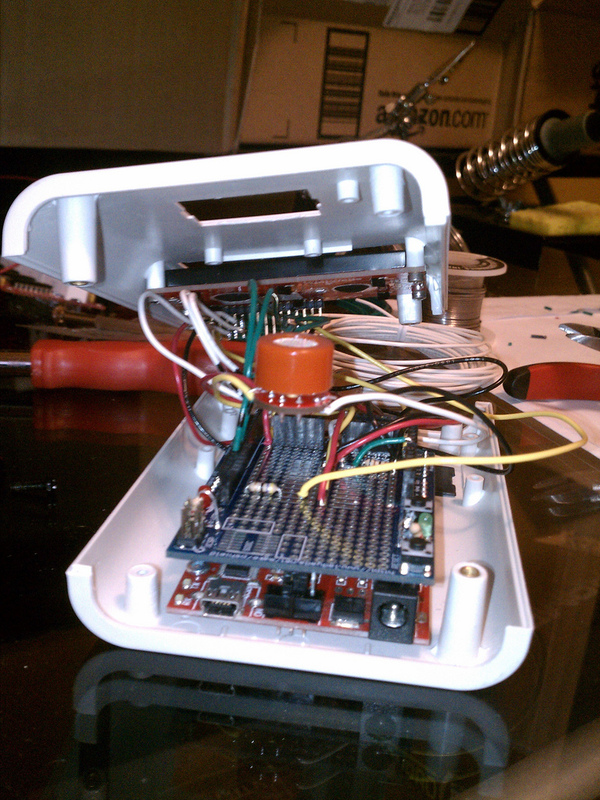 There is much less room in the enclosure than I expected once all the components and wiring were in. Lots of wires to route and cram in there. 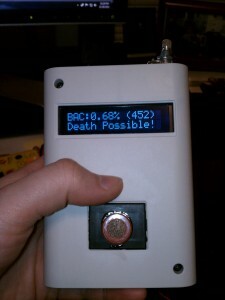 The BAC calculation is pretty simple currently. I took the data I compiled from my many tests over this past month, and calculated a magic value that I simply multiply the voltage reading against. There’s certainly room for improvements. For instance, according to my data, it’s not a perfectly linear relationship between the voltage readings and actual BACs, so the magic value should modestly scale up as the voltage increases, but I haven’t found a good fit yet. All things considered, my magic value method is producing surprisingly accurate readings, and if you just focus on the Summary I output (Sober, Buzzed, Drunk. Very Drunk, ect…) it’s more than sufficient for what I was trying to accomplish with this project. 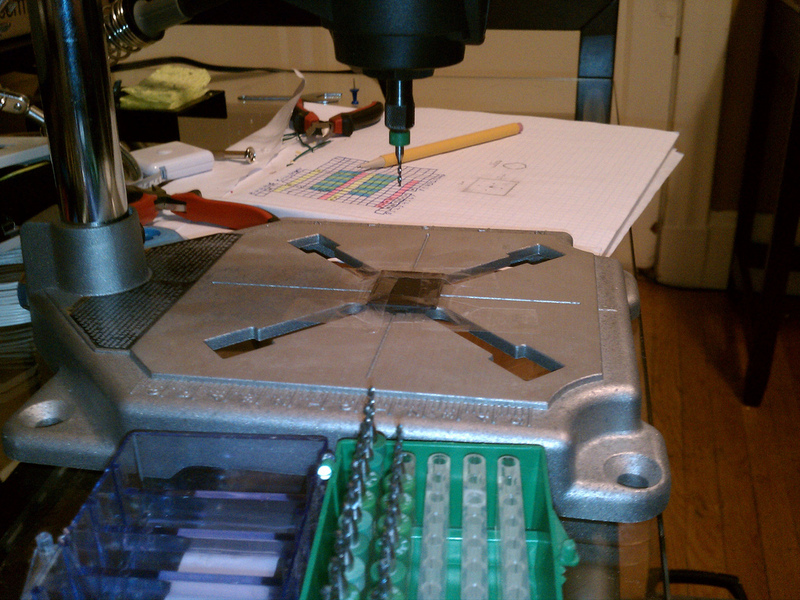 35k RPM Dremel with solid carbide drill bits. Overkill? Yes. But sure was fun! In other quite serendipitous news! On this very day, Arduino has FINALLY announced the imminent release of their official Wireless module and 1.0 library which brings wondrous high level networking support 😀 This is what I’ve been waiting for to get back to work on my C3 Alarm Clock. Unfortunately it took so long that I’m just about to begin development on a fairly sizable game project. So C3 will be on the back burner. Hopefully I’ll find time here and there to push it forward, but it certainly won’t be a quick project.